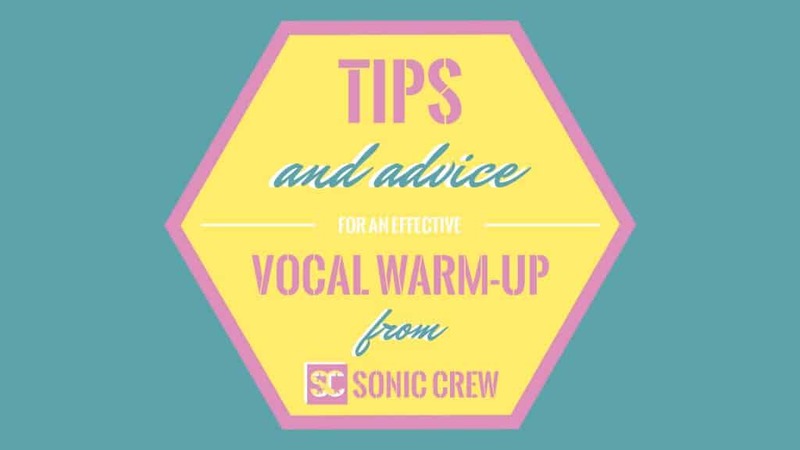 Vocal warm-ups are one of the most important daily activities for singers, and possibly one of the most neglected. As much as we all like to the perform and to jump straight to it, sticking to a regular warm-up routine has several benefits for our vocal health, including reduced muscle tension, vocal fatigue and likeliness of long-term vocal damage. I have browsed the web looking to find what other vocal coaches are teaching, to get inspired and expand my own set of vocal warm-up exercises. In this video vocal coach to the stars Brett Manning shares his insights for a “methodical” and effective vocal warm-up to prolong vocal longevity. Vocal coach Eric Arceneaux has put together an exhaustive 4 video playlist covering many of the elements that make a vocal warm-up effective. This videos are packed with helpful tips and advice and I thought I’d share them with you. Video #1 focuses on removing some of the tension from the main muscles involved with singing (neck shoulder and chest) while engaging the upper abdomen, intercostal and back muscles. Physical relaxation exercises such as neck stretches and knees bends are coupled with lip rolls, which help singers open up their voice and gently move across the modal and falsetto registers. Video #2 is mainly about the Lip Rolls, an amazing exercise that reduces throat tension significantly, warms up and strengthens the upper register and reduces vocal fatigue. Lip Rolls also help to enhance the coordination between voice, diaphragm and the rest of the body. The goal of this exercise is to achieve a clear sound, learn how to apply the right amount of pressure while warming up the voice and move through modal and falsetto registers (mix voice is also used briefly). Arpeggios and 5 note scales are used for demo purposes. Video #3 the goal is to achieve a fuller and richer tone along to clearer high notes. All without pushing and therefore straining the voice. The exercises used to demonstrate the techniques are Yah-Yah (legato) & Uh-Uh (staccato). The first exercise focuses on releasing the tongue, positioning the jaw and applying the right amount of pressure in order to achieve a clear and non-strained sound. The Uh-Uh exercise is used for building coordination between diaphragmatic breathing. Again, the exercise helps the body to learn how to apply the right amount of pressure. Video #4 focuses on vocal fry. The correct use of the vocal fry register can help you achieve a stronger overall range, greater tone clarity and help you improve ease in singing. Both the “A” and the “M” sounds are used for demo purposes. Dr Dan’s video is also packed with useful tips and demonstrates a range of exercises, from humming and open vowels to bubble lips, tongue trills, arpeggios and sirens. Overall these videos are a very nice source of useful information and a good starting point for singers willing to look after their voices. If you know any other effective vocal warm-up exercises, feel free to get in touch and share them with us.